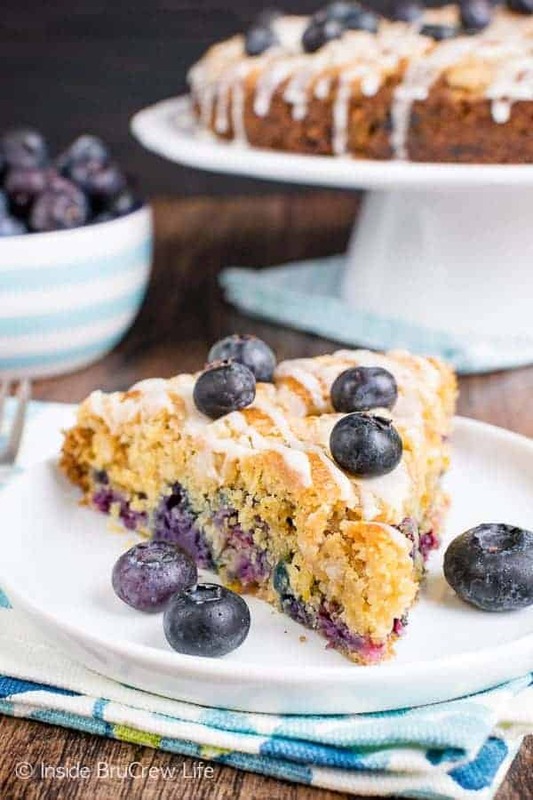 A slice of this Blueberry Orange Crumble Cake and a cup of coffee is the perfect breakfast or snack. 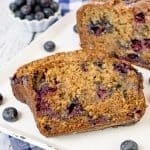 It’s a wonderfully soft cake loaded with lots of fresh berries, spices, and orange goodness. 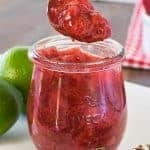 When you are done baking with all the fresh berries, use the rest to make a batch of this Honey Blueberry Sauce. It’s a delicious topping for pancakes, pastries, and ice cream. Or just eat it by the spoonfuls. I grew up picking strawberries and blueberries every spring and summer. My mom would always take my brother and sisters and I to the local berry farms to pick berries for our family to eat or freeze. Of course, I’m pretty sure we all ate way more than we picked because you just can’t resist a warm berry. Am I right? Then as we had kids I did the same thing with them. I’m pretty sure I enjoyed it way more though, and I picked most of what we brought home. So, when I realized it was blueberry season here in Florida, I may have dragged my husband with me to pick a big bucket of fresh blueberries. The younger two kiddos were perfectly content to just sleep in while we went to the farm. Of course, my hubby was a good sport about it. He may have complained a little and also wondered why we were doing all this work when there were blueberries for sale in the store. Apparently he doesn’t have fond memories of going berry picking as a kid. It’s purely nostalgia for me. That and fresh blueberries from the field just taste so much better than a box of store bought berries. So, I’m going to continue to head to the u-pick blueberry farms as long as they are in season. 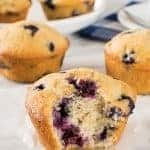 I’m itching to make another batch of these Blueberry Chai Muffins next. I don’t know about you, but I adore coffee cakes. There is just something about those cakes with the cinnamon filling or streusel toppings. Plus, any time I can eat cake for breakfast, I’m a happy camper. A few years ago I made this Apple Crumble Cake that was so soft and delicious. As I was staring at all the fresh blueberries in our kitchen, I started to wonder if I could tweak that cake to give it a fresh new flavor. There was an extra orange in the fridge that I thought would give it a nice taste. You know me. 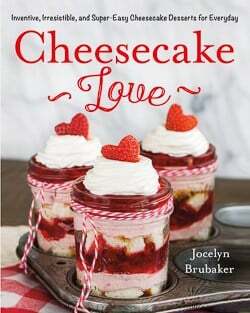 When I get a crazy baking idea, I can’t rest until I try it out. 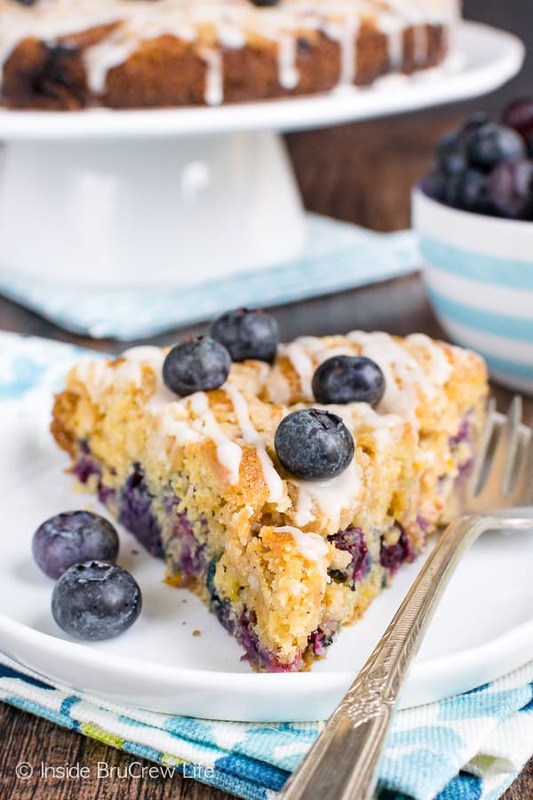 So that night I tested out this easy breakfast cake, and I am in love with how it turned out. 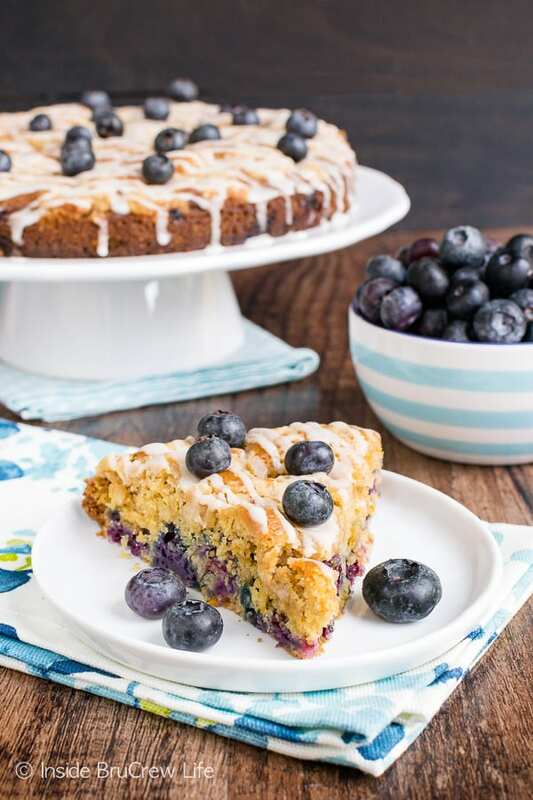 This pretty little Blueberry Orange Crumble Cake would be the perfect treat for mother’s day this year. Make sure to set your butter out ahead of time. It makes it easier to beat the butter and sugar together when it is soft. If you forget, don’t worry. 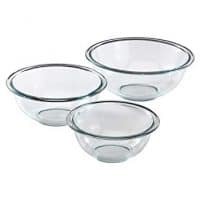 One quick way you can soften butter quickly is to fill a large glass cup with boiling water for a few minutes, then empty it out and place it over top of the stick of butter. The heat from the glass cup will soften the butter quickly. Mix together all your wet ingredients first, then add the dry ingredients. Do not over mix the batter. Use a zester to grate some fresh orange zest. 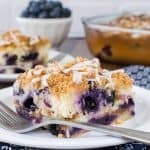 Stir that and the fresh blueberries gently into the batter. Spread the batter in a springform pan lined with parchment paper. 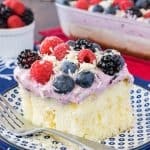 The batter is fairly thick, so the berries do not sink to the bottom of the pan. It will seem like you do not have much batter, but trust me, it’s fine. I like to use an offset spatula to spread the batter out so it is even all around. 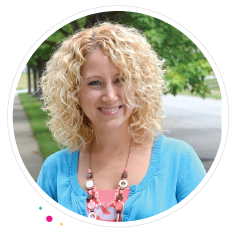 Sprinkle the streusel on top of the batter and let it bake. The cake will rise into a soft fluffy cake that everyone will enjoy. Use a hand held juicer to squeeze some fresh orange juice for the glaze. Whisk it with some powdered sugar. Once the cake is cooled, drizzle the glaze on top to finish it off. The sweet glaze will drip down into the cracks on top of the streusel make it taste amazing. 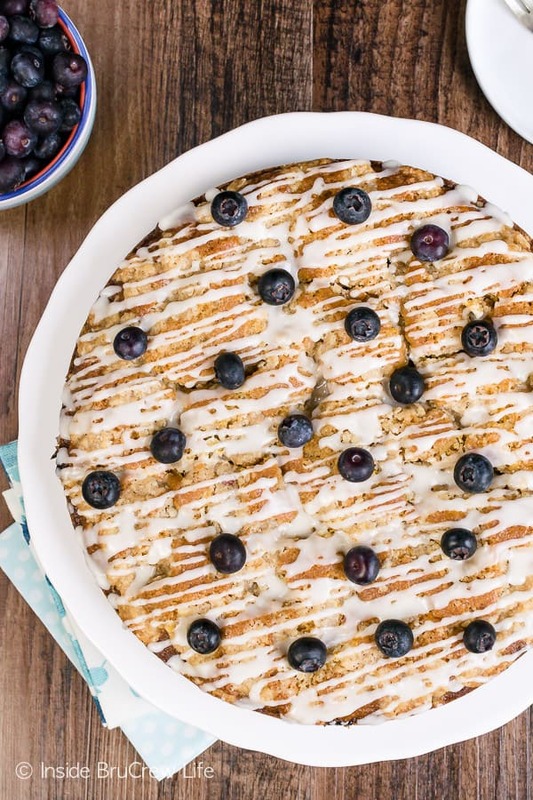 The coffee glaze on this Cinnamon Roll Coffee Cake has me drooling. This Banana Split Coffee Cake has all your favorite toppings in one awesome looking breakfast cake. The amount of crumb topping on this Cream Cheese Coffee Cake is ridiculous. In a very good way that is! 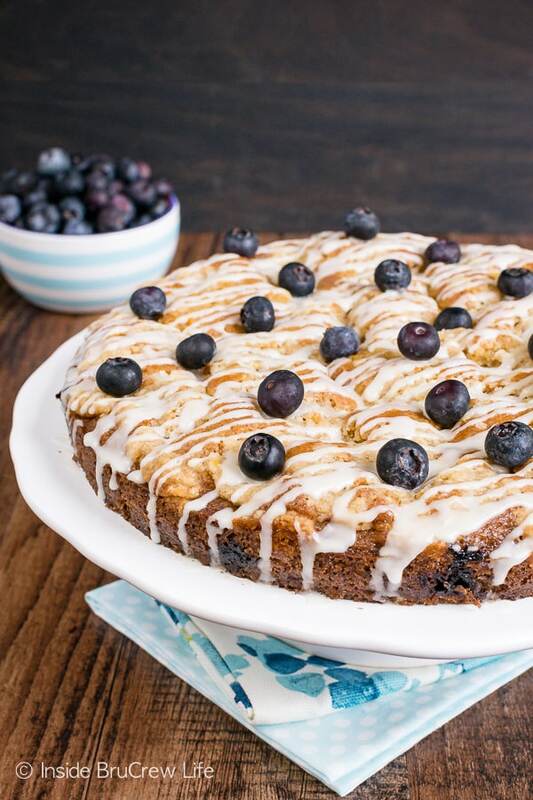 This Blueberry Pecan Coffee Cake is sweet and nutty. It’s a great way to kick off a weekend breakfast or brunch! 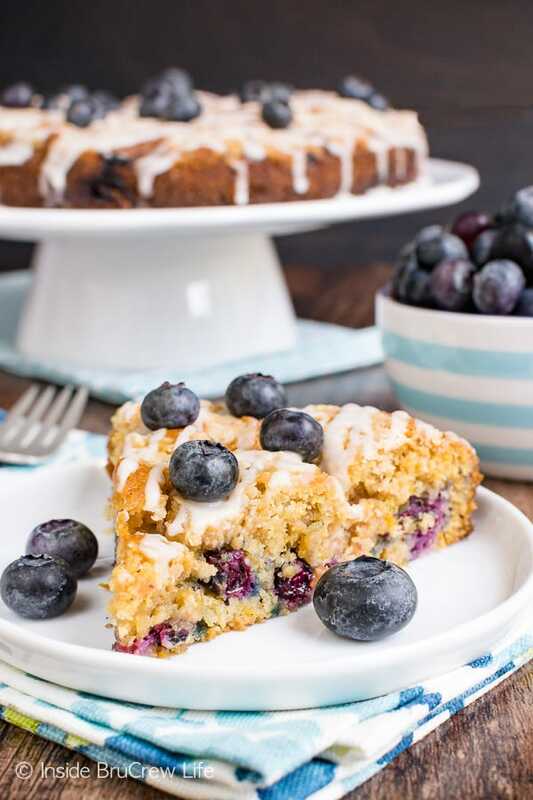 A slice of this Blueberry Orange Crumble Cake and a cup of coffee is the perfect breakfast or snack. It's a wonderfully soft cake loaded with lots of fresh berries, spices, and orange goodness. Beat the butter and sugar until creamy. Add the egg, sour cream, and vanilla and beat again. Add the flour, baking powder, baking soda, salt, nutmeg, and ginger and beat until mixed in. Stir in the blueberries and orange zest gently. Spread the batter evenly in the bottom of the prepared pan. Mix together the flour, oats, brown sugar, and butter with a pastry blender or a fork until it resembles crumbs. Drop the streusel evenly on the top of the batter. Bake for 30-35 minutes or until a toothpick inserted in the center comes out with just a few crumbs on it. Remove and let the cake cool. Whisk together the powdered sugar and juice. 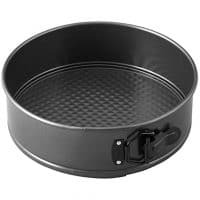 Remove the collar from the springform pan and place the cake on a plate. Drizzle the glaze over the top and let set. Store in a loosely sealed container. Blueberries are the best ! Thank you ! This is a bad recipe. I made it exactly as the recipe was written. The flavors were muddy except for the nutmeg which overpowered the orange. I am a baker with many years of experience in the kitchen and definitely do not recommend this. I’m very sorry you didn’t enjoy this recipe. I have actually made this cake quite a few times for my family, and everyone has loved it every time. 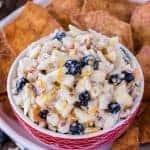 Recipes don’t get shared here unless I have tried them and gotten good reviews. Again I’m sorry you didn’t care for it.